Wonders of Creation explores the wonders of our created world though detailed black-and-white illustrations—each one ready to be filled with the hues of your imagination. From amazing Eden-esque gardens to the creatures God made that still ramble through our world, this ninety-six-page book offers hours of coloring inspiration and relaxation for any age. 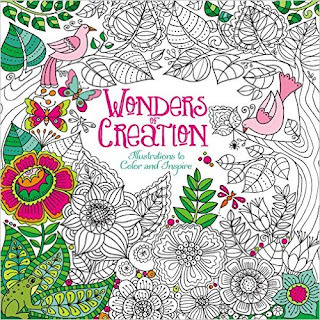 Wonders of Creation: Illustrations to Color and Inspire by Zondervan is incredibly fun! I enjoy coloring so I knew I'd love this coloring book. My eight year old and I have both been coloring in it and it's a blast. It's incredibly relaxing and such a fun way to bond with my daughter. It's amazing to fill a black and white page full of color. Seeing each page brought to life through color is beautiful. The pages are perfect for coloring and don't seep through to the next page. I absolutely love this book! 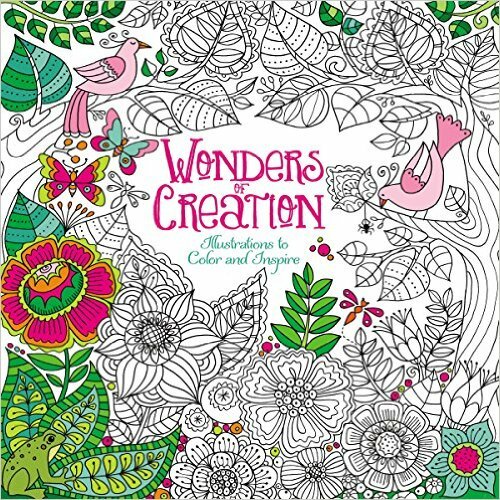 You can find Wonders of Creation: Illustrations to Color and Inspire by Zondervan on Amazon, Barnes and Noble and other bookstores.